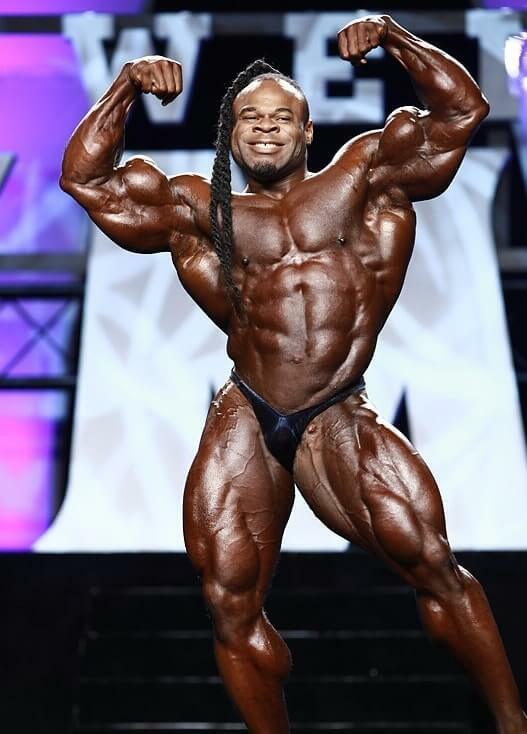 [UPDATE – Tuesday September 15, 2015: We’ve been following the Kai Greene situation closely, and indeed it’s becoming more and more apparent that a disagreement has snowballed to result in Kai not competing in the 2015 Olympia. As this becomes official, it marks a sad day for the sport. Out of respect for “The Predator”, we have chosen to keep his spot intact in our predictions article below; he has worked all year to get to where he is this month, and we feel that the least we can do is keep him in our list. The original article starts below.] Predicting the outcome of the 2015 Mr. Olympia contest two weeks before the actual event at the time of writing this piece is like predicting exactly where a potential hurricane is going to land 15 days later. The hurricane may be a direct hit where you live, causing catastrophic carnage and millions of dollars in damage. Or, the potential hurricane might veer north and never even come close to you. There’s also the possibility that it might dissipate way out at sea and lose its status as a hurricane, reduced merely to light winds and an empty threat. At the outset, the 50th Anniversary of the Mr. Olympia contest seems like another fait accompli for Mr. Olympia champion Phil Heath. Heath, going for his fifth Mr. Olympia title, is the odds on favorite to repeat again. His winning combination of freaky muscle mass, excellent muscle separation and an indomitable will to win leave the odds makers with little choice but to predict another victory for “The Gift”. Heath’s primary competition, including front runners Kai “The Predator “ Greene, Dennis “The Big Bad Wolf” Wolf and Shawn “Flexatron” Rhoden, will have to dig deep to come up with the mastery necessary to take the Sandow Statue away from the reigning champ. Despite the talented line-up competing in the Mr. Olympia, the only person who seems poised for victory this year is the one who has more to lose than anyone else. So read on, and see our predictions for how “The Gift”, “The Predator”, “Flexatron” and “The Big Bad Wolf” will square up at this year’s Olympia! With nearly 30 competitors qualified to compete in the 2015 Mr. Olympia, this year’s event promises to showcase more talent than in previous years. However, the event will be remembered based on the competitors who show up in prime condition. The potential is there, to be sure, but the actual contest will be determined by the bodybuilders who show up at their absolute best. The following are our predictions for the Top 15 (from bottom to top) at this year’s Mr. Olympia contest, to be held in Las Vegas, Nevada on September 18-19, 2015. As mentioned in the opening paragraph, the hurricane can potentially travel in many directions over the next days so this is an estimated guess based on past performance, internet rumors and reported sightings. 15th Place – William Bonec (picture above) – Bonec is impressive for the amount of thick muscle mass he displays on his short frame. Many felt like William was overlooked last year at the Mr. Olympia where he placed 15th despite competing in peak condition with excellent muscle density and conditioning. He won first place in 2014 at the Golden State Pro Championships and the Grand Prix Russia so he can be a top contender if the judges give him a fair look. Photos on social media leading up to the Olympia show Bonec to be in peak condition weeks before the big event. If William is better than ever, he may move up the rankings but we’re guessing he’ll place about where he was a year ago. 14th Place – Max Charles (picture above) – Max is going to his first Mr. Olympia this year after winning a tough victory at the Tampa Pro. Max has an outstanding upper body with very wide shoulders and huge arms. He has been bringing his legs up over the last couple of years so they are no longer a weak point compared to his overwhelming upper half. He has some good momentum behind him after winning the Tampa Pro over Johnnie Jackson and Fouad Abiad so if he can compete in sharp condition, Max should make an impact in his Mr. Olympia debut. 13th Place – Johnnie Jackson (picture above) – Johnnie is having a great year leading up the Mr. Olympia contest. We saw him onstage at the Tampa Pro and he had a real battle with Max Charles and Fouad Abiad before placing a disappointing third. However, his condition at that show was outstanding with dramatic muscle thickness and sharp muscularity standing out during the comparison poses. He came out ahead only weeks later at the Texas Pro where he beat out the young lion Steve Kuclo to win the title. At 44 years old, Johnnie is in great condition and shows no sign of slowing down. He isn’t one of the bigger bodybuilders because of his shorter stature but his muscle thickness can stand with anyone. If he hits his peak again like he did for the Tampa Pro and the Texas Pro, he could surprise a lot of people. 12th Place – Steve Kuclo (picture above) – Another young bodybuilder with excellent potential is Steve Kuclo from Texas. Steve has the height, structure and muscle shape to go very far in bodybuilding. He placed 14th in his first Mr. Olympia in 2013 but he jumped up to ninth place last year along with winning the Arnold Classic Brazil earlier in the year over Juan Morel, Jonathan Delarosa and Lionel Beyeke. This year, Steve has only competed in the Texas Pro Championships where he took second place to a dialed in Johnnie Jackson. Steve obviously has the potential to place high in this year’s Mr. Olympia but he needs to come in rock hard to capitalize on his great structure and size. It was rumored that he was not feeling 100% at the Texas Pro so that might have contributed to his less than peaked condition. The judges seem to like Steve and usually place him very favorably so he could easily make the top ten if he nails his conditioning. 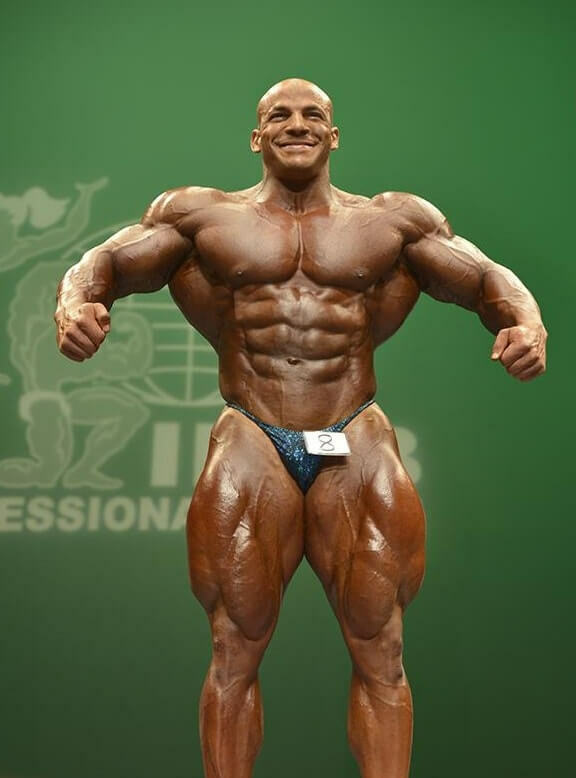 11th Place – Victor Martinez (picture above) – One of the top bodybuilders from the last 15 years, Victor Martinez seems to be unfortunately nearing the end of his career. Now 42 years old, Victor is a multiple Arnold Classic winner and many feel that he deserved to be crowned Mr. Olympia in 2007. Last year, Victor had a great year and he looked to be regaining his winning physique from years ago. He took a strong 4th place at the Arnold Classic and then won the Tampa Pro later in the year. 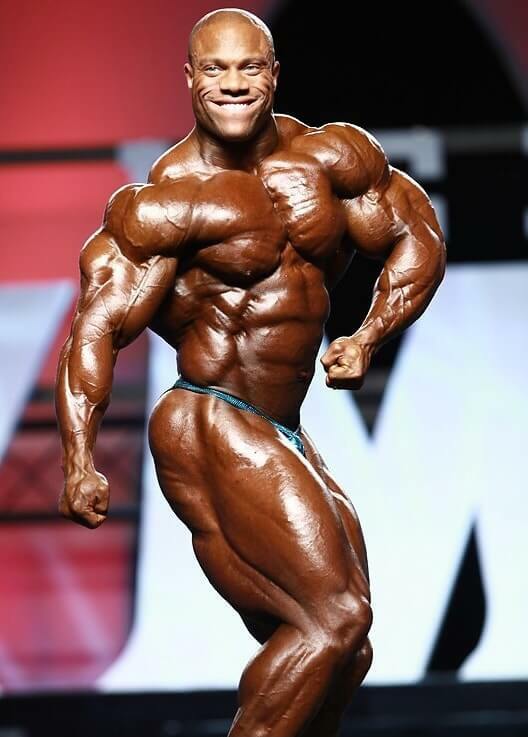 At the 2014 Mr. Olympia, Victor looked great and placed 8th in a strong line-up. He has been kind of quiet this year, competing only at the New York Pro where he took a disappointing second place to the young up and coming Juan Morel. He still has the potential to challenge for a top six placing but he will need to come in his best shape to do it. 10th Place – Juan Morel (picture above) – Juan Morel from New York is improving every year and could make his mark at this year’s Mr. Olympia contest. Juan is a tall bodybuilder with big muscle bellies. As he continues to grow and mature, he will win more big titles. Last year, Juan won the Toronto Pro and took second to Big Ramy at the New York Pro before placing in the top ten in his first Mr. Olympia contest. This year, Juan had his biggest victory yet by beating champion bodybuilder Victor Martinez to win the 2015 New York Pro. Considering that Victor is a bodybuilder who Juan has looked up to for his whole career, it had to be a real ego boost to defeat one of his heroes. Juan is another one who can potentially make the top six, depending on what package he brings onstage. With his ultra fast metabolism and tall structure, Juan needs to be full and hard to capitalize on his tremendous potential. We have Juan placing in the top ten for sure but he may be able to move up even further depending on his condition. 9th Place – Roelly Winklaar (picture above) – Roelly is a true genetic freak, a bodybuilder with such great potential, it’s scary to think what he could look like at his peak. However, it’s only on rare occasions that Roelly will nail his conditioning and compete with the perfect combination of fullness and hardness. He did hit his peak two years ago the 2013 Mr. Olympia where he placed 7th. Many felt that he should have been included in the top six posedown, replacing a subpar Jay Cutler who was competing in his last Mr. Olympia contest. Last year, however, Roelly was way off in conditioning and dropped down to 12th place. He has some of the freakiest muscle bellies in the sport with gigantic arms and legs. If he hits his peak, he can easily place in the top six, relegating many of the bodybuilders listed above to a lower placing. We feel that, even at less than his best, Roelly will make the top ten. Let’s hope he puts it all together and gives us a good show. 8th Place – Cedric McMillan (picture above) – Cedric McMillan is the Lee Haney of the modern era without the Mr. Olympia titles. Many influential people in the bodybuilding world, including Arnold and Lee Haney himself, single out Cedric above the current crop of professional bodybuilders for his magnificent physique. Tall, massive, symmetrical and proportionate, as well as an incredible poser, Cedric seems to have all the tools necessary to win the Mr. Olympia title and bring about another Golden Era of bodybuilding. But it unfortunately never happens. Arnold made headlines all over the bodybuilding world at the Arnold Classic this year when he criticized the look of the modern day bodybuilder “with their bloated stomachs and thick necks and inability to pose”. Arnold said he was “pissed off” with the results of the Arnold Classic, saying he thought Cedric should have won. The video clip of Arnold speaking about the current state of bodybuilding soon went viral with so many of the fans of bodybuilding, and our own OSL community, agreeing wholeheartedly with what Arnold boldly stated. Cedric McMillan seems to be at the mercy of the modern day judging criteria, which rewards the “hardness” and “dryness” of the bodybuilder’s physique over such standard basic criteria as symmetry, shape and proportion. Most fans feel that Cedric has the best physique onstage but the judges look to be holding him to a much higher standard. If Cedric competes in less than stellar condition, if his color is not perfect or even if he doesn’t apply his oil correctly, he is routinely placed below bodybuilders who don’t possess half the size, shape and symmetry that he displays. It’s a situation that is frustrating to us, many of the fans of bodybuilding, even Arnold Schwarzenegger. 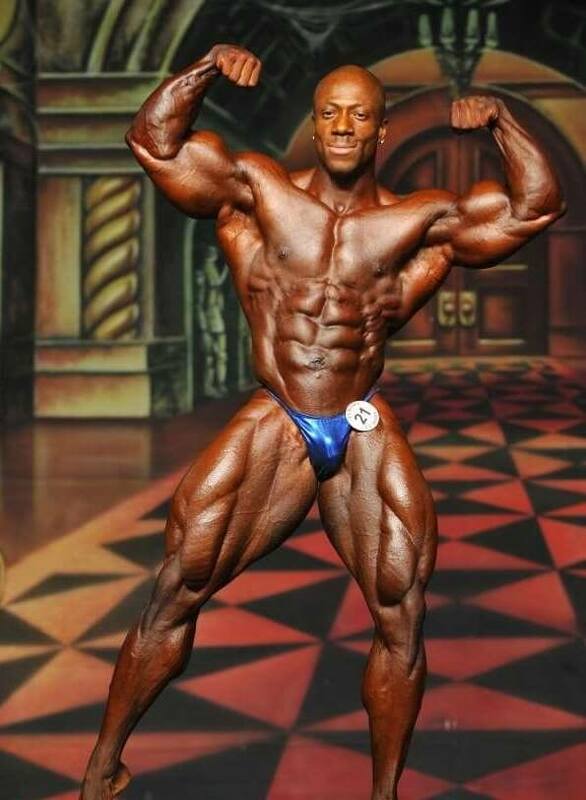 Cedric seems to be placing a little better this year, having won the Golden State Pro Championships. 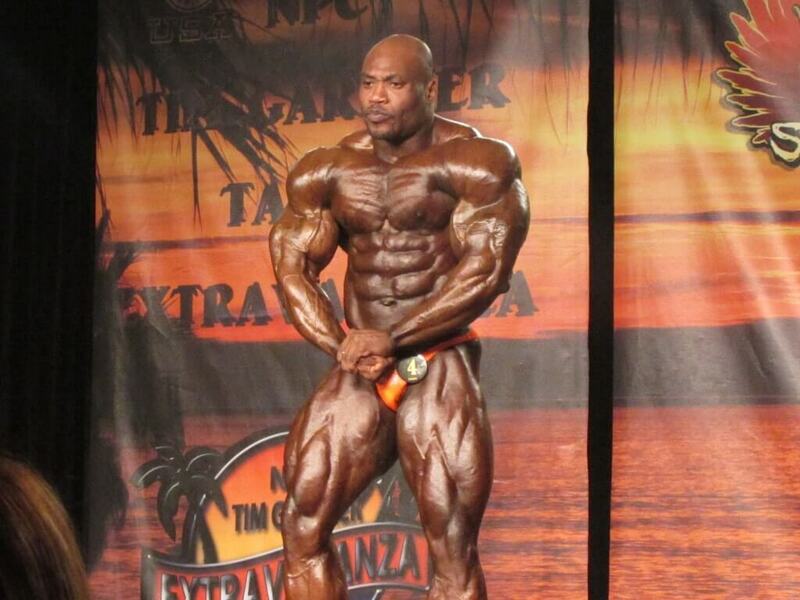 He also looked excellent in taking second place to a massive Big Ramy who posed at over 300 lbs. at the Arnold Classic Brazil and runner-up to Branch Warren by one point at the Atlantic City Pro. Our opinion of Cedric’s physique is that he should be battling it out for first with Phil Heath, Kai Greene, Dennis Wolf and Shawn Rhoden (provided he is in peak condition). However, realizing that he will probably not get the respect he deserves from the judges, no matter what he looks like, we’d be surprised if he makes it deep into the top ten. 7th Place – Branch Warren (picture above) – Branch Warren is the working class bodybuilder; the tough as nails, gritty underdog who won’t give up despite a blocky structure and torn muscle bellies. Displaying thick, grainy muscle, a never say die attitude and extreme vascularity and conditioning, Branch wins over the fans and judges with his heart as much as he does his physique. Branch is a two time Arnold Classic champion and has placed as high as second place in the Mr. Olympia (2009). Now in his 40’s, his physique has suffered the wear and tear of his heavy, intense training style. His quadricep tendon was torn in a freak accident years ago and even his lats look like they incurred a muscle tear when he hits his rear double biceps pose. However, the judges love Branch and his physique, regardless of the lack of aesthetics and symmetry. Branch takes to the stage like a warrior going to battle and it’s always a mistake to count him out, no matter who he is competing against. We predicted Branch would place out of the top ten last year at the Mr. Olympia, feeling his best days were behind him. 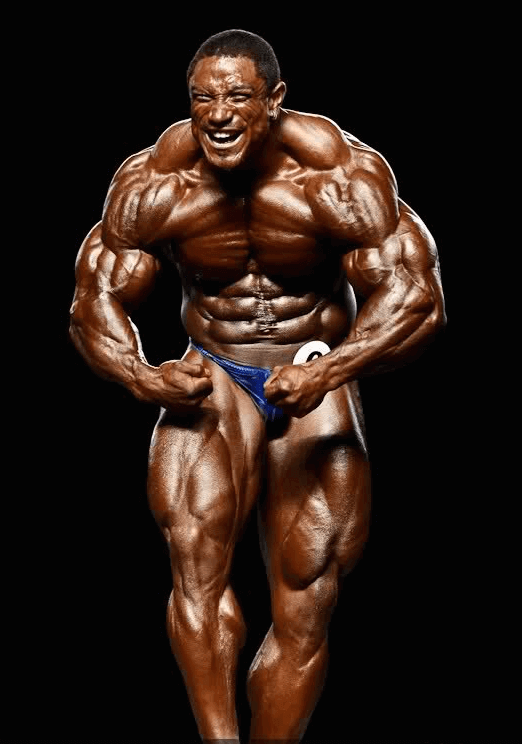 At the end of the day, Branch was in the posedown for the Mr. Olympia, eventually placing sixth and defeating genetically superior athletes such as Big Ramy, Victor Martinez and Steve Kuclo. It’s easy to count Branch Warren out but we learned our lesson after last year. Branch is coming off a win at the Atlantic City Europa Pro where he beat a superb Cedric McMillan by one point. He is lacking in structure, shape and symmetry but his thick muscularity, grainy conditioning and aggressive stage presence is enough to overcome his short comings. Look for Branch to place as high as seventh place in this tough line-up and don’t be surprised if he makes the top six. 6th Place – Mamdouh Elssbiay “Big Ramy” (picture above) – The hype surrounding Big Ramy since he made his debut at the Mr. Olympia two years ago has been as overblown as his physique. Before 2013, Ramy was unknown to the bodybuilding world. Originating from Egypt, Big Ramy won the Amateur Mr. Olympia title one year earlier but he made incredible gains in size and looked to be the largest and perhaps most impressive bodybuilder on the planet as he came into the spotlight in 2013. Big Ramy swept to victory at the prestigious New York Pro that year, defeating Victor Martinez who was in the midst of a comeback. At the Mr. Olympia that same year, Big Ramy only placed 8th. He looked very impressive for a rookie debut but did not quite deliver on the promise of being the threat to Phil Heath for first place. Last year, Big Ramy repeated his victory at the New York Pro and then moved up one placing at the Mr. Olympia to the 7th place position. In 2015, Big Ramy continued his winning ways by beating an in-condition Cedric McMillan at the Arnold Classic Brazil. Ramy was still the biggest man onstage by far, coming in at above 300 lbs., but his conditioning was lacking and many in attendance thought Cedric deserved the win. As Big Ramy gets ready to compete in his third Mr. Olympia contest, many critics are writing him off as all hype. He most definitely has all the size and mass he needs to dominate this show but he needs to bring in the crisp conditioning that any serious Mr. Olympia contender delivers to the stage. He has used several contest prep coaches over the last two years who have all desperately attempted to bring Ramy to the stage in peak condition. If he and his latest coach, Lebanese-born Georges Farah, can dial in his physique better than he has shown in his last two Mr. Olympia appearances, Big Ramy should be able to make the top six and join the other competitors for the classic posedown at the finale of the contest. 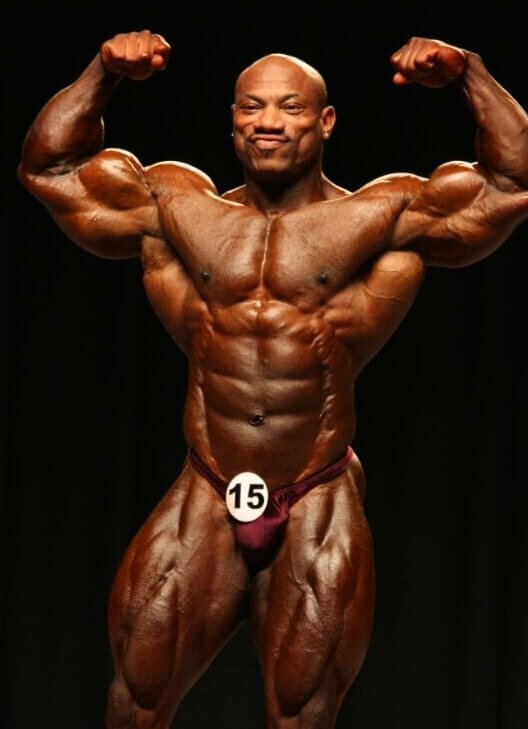 5th Place – Dexter Jackson (picture above) – At 46 years old, Dexter Jackson is the one man who defies the aging process. Most professional bodybuilders at his age begin to show signs of vulnerability with reduced muscle mass (usually in the legs) and problems with conditioning. Dexter, however, seems to be getting better. He was significantly bigger last year at the Mr. Olympia and, based on his recent guest posing appearances, looks to be even larger this year. A former Mr. Olympia winner in 2008, Dexter wants to make history by coming back and winning the title a second time. He realizes that he is at the end of his career and is pushing himself harder than ever to do what many consider impossible and become the oldest Mr. Olympia winner at 46 years old. Dexter always competes in top condition although he is not quite as sharp as when he earned the nickname “The Blade”. We think Dexter will beat most of the young up and comers this year at the Mr. Olympia and place solidly in the top again, just like he did last year. As he is so fond of saying, he always competes in peak condition and, if one of the top dogs is off, he will sneak past them and beat them. This year, however, Dexter is aiming for the top spot. 4th Place – Shawn “Flexatron” Rhoden (picture above) – Shawn is promising to bring a brand new package to the Mr. Olympia this year. Obviously disappointed with his third place finish last year, Shawn grew to enormous proportions during the off season, bringing his weight up to over 280 pounds. We witnessed Shawn guest posing at the NPC Southern States this summer and he was definitely very large and in charge. Shawn has a very aesthetic look with a classic physique that has enough size to contend with front runners Heath, Kai and Wolf. He has great arms and legs and the best waist/abdominal taper in the business. With his added size and thickness, Shawn is hoping to beat out the top contenders and rise to the top of the ladder by winning the Mr. Olympia. If Shawn has a weak point, it is his back. Heath, Kai and Wolf all have very thick and muscular backs and Shawn needs more thickness to stand with these big three. He can still pull ahead of one or all three, depending on the condition of each competitor. A master poser, Shawn is promising to bring his best package to date this year. If he can dial it in with significant gains in size, Shawn Rhoden could be the surprise of the year. 3rd Place – Kai “The Predator” Greene (picture above) – Kai has all the tools necessary to be Mr. Olympia but he never seems to be able to pull it off on the day that counts. He is enormously thick and muscular but hitting his peak has proved more elusive than a peaceful ending on “Game of Thrones”. His landmark conditioning was the 2009 Arnold Classic in which his ripped physique and spectacular posing routine gave him a unanimous decision over Victor Martinez and earned the praise of Arnold himself. Physically, Kai Greene is thicker than Phil Heath but, when both are at their peak, it is a very close competition. Kai is wider than Phil but Phil is thicker in some poses (particularly the most muscular pose). Kai’s back is incredibly thick with very low lats but Phil has an equally impressive back with excellent separation and detail. In order for Kai to beat Phil, he has to be in same shredded condition that he made famous from the 2009 Arnold contest but he also needs to retain fullness and thickness in order to stand up to Heath. Kai was in great condition in 2013 and it made for a close competition between him and Phil but he was too flat at the finals that year and Phil won handily. Last year, Kai came in bigger and fuller but lost again to an off condition Phil Heath. The knock on Kai Greene is that he is not mentally strong enough to beat a hungry and confident Phil Heath. This may have been the reason that Kai was so aggressive with Phil onstage at the prejudging and during the press conference last year. Kai doesn’t need to show aggression to be a winner, he just needs to hit peak condition and display the quiet confidence that such condition lends itself to. 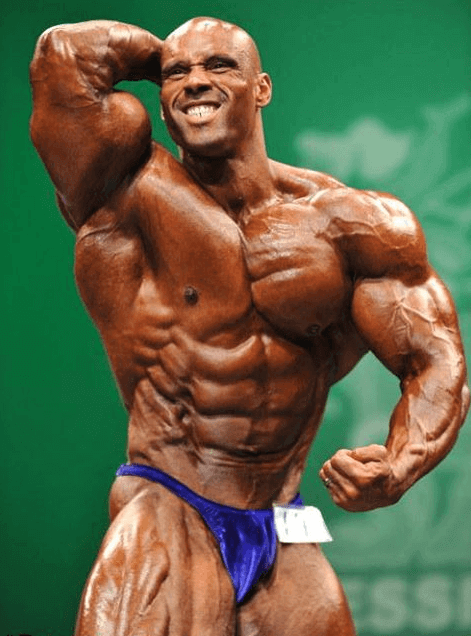 2nd Place – Dennis “The Big Bad Wolf” Wolf (picture above) – We’re picking Dennis Wolf as the upset runner-up in the 2015 Mr. Olympia. If you look at the history of the Mr. Olympia, no one has placed second more than three years in a row. After three consecutive years as a runner-up, that bodybuilder will either win or drop in the placings. Kai Greene has been second to Phil Heath for three years in a row (2012-2014) so, based on history, he will either move up to the number one spot or drop down. We don’t think Kai has the momentum to win this year and Phil is still young enough to make improvements from 2014 so we can’t see Greene winning the Sandow. If Kai drops, that means someone new will move into the runner-up position. Dennis Wolf has been at the top for the last several years. He looked fantastic in 2013 when he took third place at the Mr. Olympia. Wolf was in peak condition that year and many thought he should have placed second to Phil Heath. Following up on his strong showing at the Mr. Olympia, Dennis won the Arnold Classic in 2014, appearing slightly off his peak shape from the Olympia but still good enough to win. Six months later, Wolf dropped to fourth place at the 2014 Mr. Olympia. He was not in the same condition as he was one year earlier and was beaten by Shawn Rhoden as well as Phil Heath and Kai Greene. For the 2015 Mr. Olympia, Dennis Wolf has been resting and working for a full year. The long off season should work in his favor, allowing Dennis to reach peak condition for the Olympia. On a recent interview, Dennis James said he saw Wolf posing weeks ago and declared Wolf was already ripped and in top condition. Dennis Wolf has the structure, height and size to challenge Phil Heath for the title. He just needs to nail his condition by appearing onstage both full and ripped. We think he will nail it this year. 1st Place – Phil “The Gift” Heath (picture above) – Although Bodybuilding is not Boxing, the general consensus regarding the Mr. Olympia contest is that, in order to beat the reigning champ, you have to “knock him out”. For many years, the current Mr. Olympia winner was given carte blanche treatment by the judges. Many former champs competed at less than their best but were still able to win the Mr. Olympia title in any given year simply because they were the reigning champ (Haney in ’90, Yates in ’94, Coleman in ’01 and ’02, Cutler in ‘07). Although Phil Heath started his reign as Mr. Olympia very strong with dominating wins in 2011 and 2012, his victories over the last two years have not been knockouts. Last year, Heath was at his most vulnerable. During the prejudging, Phil was not in his characteristic peak condition. Although some of his mandatory poses were still excellent (rear double biceps, most muscular), he showed some weak links in his previously impervious armor. His stomach often appeared distended and his usually infallible separation and conditioning was definitely off. 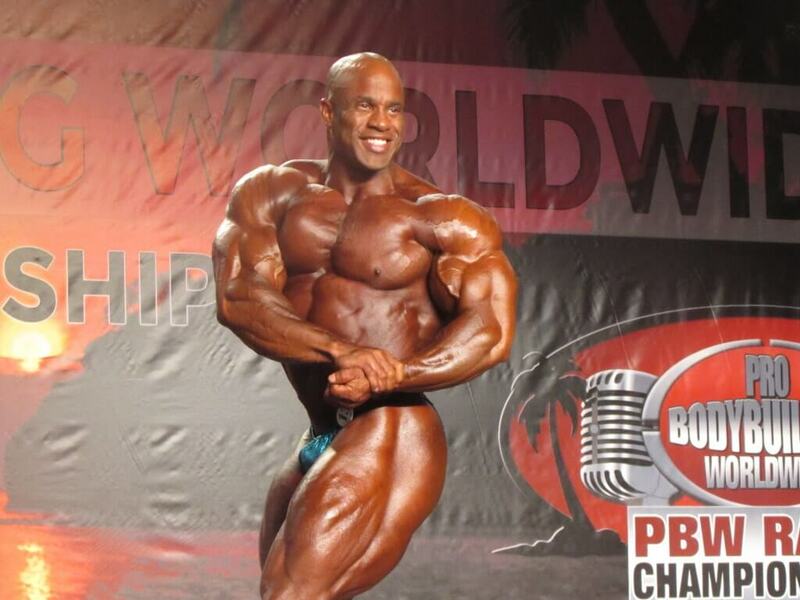 As history shows, Phil was able to win his fourth Mr. Olympia title by appearing onstage in better condition one day later in time for the finals. It also helped that no other competitor last year hit their peak condition and was able to really challenge Heath for the title. As a result, Phil Heath won his fourth Mr. Olympia. Whatever faults Heath may have, his will to win and his unrelenting faith that he is the best bodybuilder onstage is not one of them. No one believes in himself as much as the current Mr. Olympia does. His internet battles with numerous “fans” (referred to as “haters” by Heath) may suggest an inferiority complex by the number one bodybuilder in the world but his attitude onstage is one in which he dares anyone to take the title away from him. 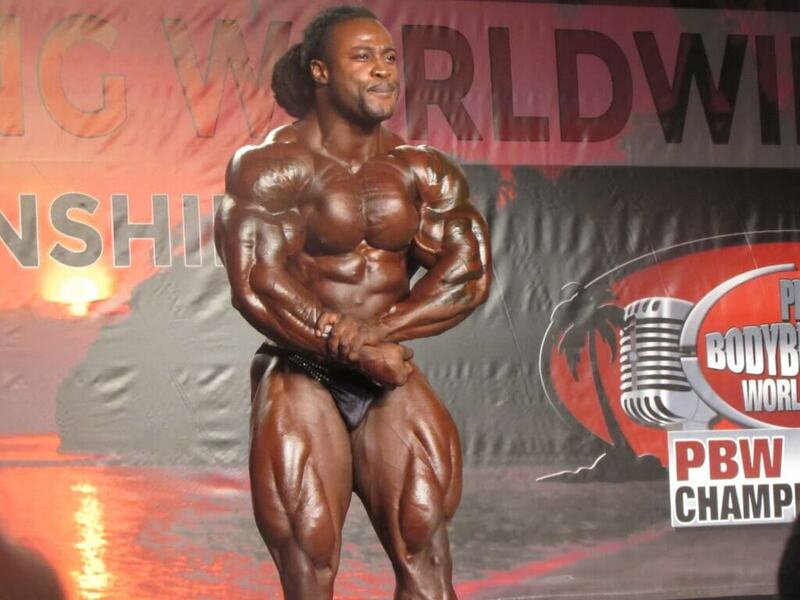 When Kai Greene became confrontational with Heath last year onstage, Heath responded by getting in his face. This was not the mature and confident attitude that former champs like Schwarzenegger and Haney would have displayed in a similar situation but it was not a surprise coming from Heath. We are betting that a proud and arrogant champion like Phil Heath will respond to last year’s subpar showing by competing much improved from last year. He needs to show some improvement from his 2014 showing in order to stave off the competition and keep winning the Mr. Olympia title. We think he will do just that. Enjoyed the article, agree or disagree with us, we’d like to hear from you! Like and Comment on the article on Facebook and share it with your friends who follow, or should follow, the sport! Enjoy the Olympia, and keep it Old School!